Article originally published in Australian Doctor, 20 August 2014. It never ceases to amaze me how we often choose the brightest and the best within the education system to enter medical schools around the world only to turn these bright minds into unquestioning, uncreative automatons. The potential for health innovation seems tremendous, yet the conservative nature of the healthcare profession in regard to embracing change and progress is well documented. The risk and uncertainty associated with innovation and change unsurprisingly lack appeal compared to the ‘safe havens’ of evidence-based guidelines and well-worn professional norms. Harvard Business School Professor Clayton Christensen’s seminal work around “disruptive innovation” suggests that if we within the health industry don’t plan to disrupt ourselves and adapt to the significant changes required to improve the industry’s various moving parts, then something or someone will come along and do it without us. For innovation to occur, you need an environment that allows for trial and error. It needs to be an environment that doesn’t only celebrate the successes but also expects, recognises and accepts the inevitability of failure that occurs as part of the process. However, the concept that doctors might be fallible and make mistakes or take ‘unnecessary’ risks remains largely culturally unacceptable. Challenging the status quo in the interest of improvement rather than relying on blind faith, has tended to fall at the feet of ‘maverick’ clinicians who risk their professional standing by daring to question and do things differently. Some of these mavericks take fire from colleagues for years before going on to discover Nobel prize-winning breakthroughs, to change important legislation or to continue to save lives when others have given up. theory that stomach ulcers were caused by an infection. He was criticised by colleagues and effectively run out of town, yet when his research turned out to be true, he was lauded as a genius and awarded a Nobel Prize in Medicine. Health innovation should be a shared responsibility, not left to mavericks but drawn from the collective wisdom of the profession. Let’s not be naïve. Not all of these mavericks are altruistic nor simply misunderstood geniuses. However, not all of them are dangerous rogues either. The question is how do we separate the visionaries from the crackpots? Perhaps we don’t need to. The crowdsourcing phenomenon has been the source of disruption in many industries. The cultural shift needs to start within our medical schools. The next generation of doctors needs to be taught the skills to drive innovation. They need to be trained to not simply be resilient to change but instead to lead the process. What of the doctors currently in practice? Sadly, the unprecedented cognitive dissonance they are already experiencing has seen many senior colleagues choosing to retire rather than adapt. Encouraging all clinicians to undertake more teaching roles and engaging in research creates a cultural norm of inquiry and valuing innovation. It is well known that groups lauded for their innovation, like Google and 3M, allow their employees time, resources and latitude to explore personal ideas. Why shouldn’t we do the same at the coalface of clinical medical practice? 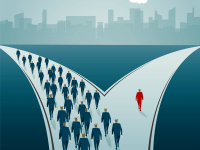 GPs are ideally suited to lead this cultural shift. GPs are highly skilled in managing risk and uncertainty, and are well equipped to make the leaps required to innovate. Consider think tanks of grassroots clinicians, within medicine and interprofessionally, grappling collectively with clinical conundrums, big picture challenges, and having the latitude to explore and implement potential solutions without being pilloried as misfits or, worse still, criminals. Like many outdated laws that have failed to keep pace with societal changes and dilemmas created by technology and system reform, doctors will gradually need to address these advances or become increasingly irrelevant to their patients. The question is whether we have the courage to disrupt ourselves in the process. 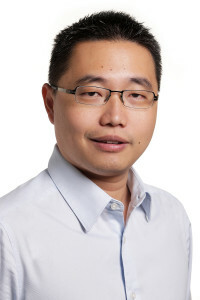 Dr Marcus Tan is a GP and CEO of HealthEngine. A medical graduate of UWA, Marcus has an executive MBA from the Australian Graduate School of Management, and has over 15 years of clinical and commercial experience.